Analyse your rides. View different racing lines, select sectors to identifie where you can gain time. Drive along or fly around. Decide yourself from which perspective you want to see your track day. Setup virtual races. 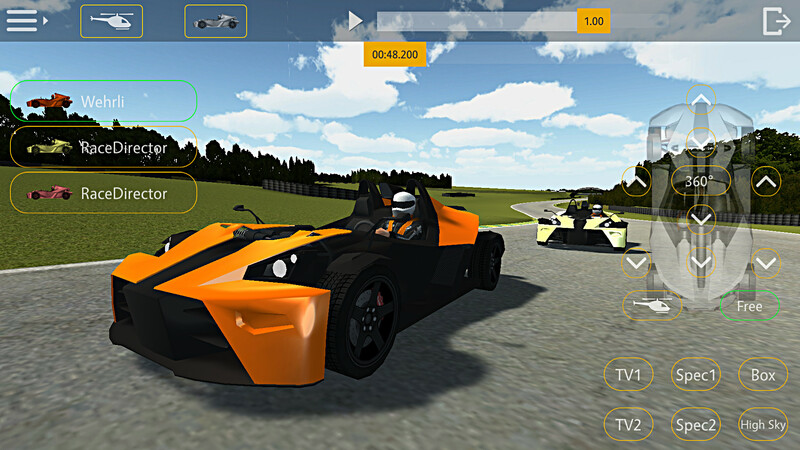 Select up to 10 different drivers and build your own virtual races. Compare and match your rides with up to 10 different drivers. Let`s see if you can keep up with them. Prepare and optimize your next track day. 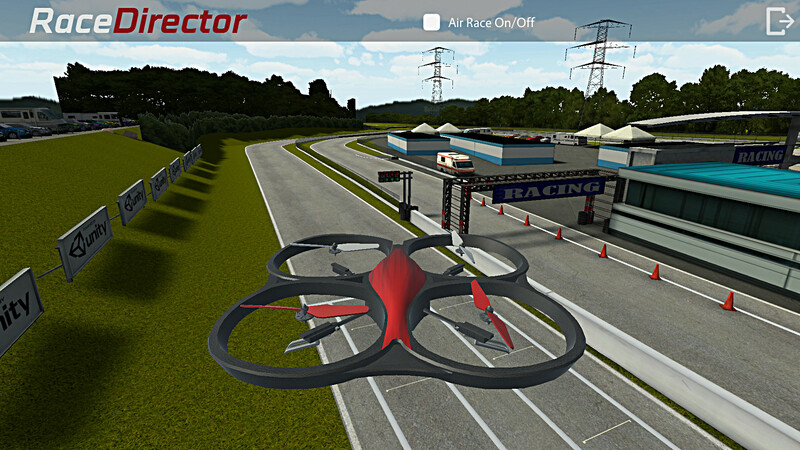 Drive on the racetrack or fly around with a drone/heli. It`s just a gimmick. 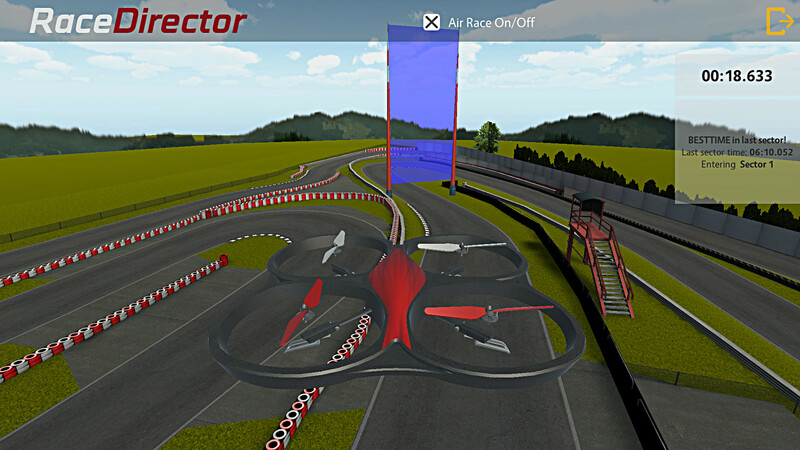 Start an Air Race on your favorite racetrack. RaceDirector is optimized for mobile devices (smartphones and tablets). It is important to us that RaceDirector works smoothly on all mobile devices - even on older devices. This version also runs on PC or laptop. However, we use the graphic of the mobile version. There is no version for devices (PC / laptop or game console) with a high end graphics. You drive with your vehicle (kart, car or motorcycle) on a racetrack and record your position data with your data logger or action cam. You export the data (CSV, GPX or NMEA) with your data logger software. You upload your recorded position data (such as GPS) via the RaceDirector upload page. You can view, compare and share your track day in the RaceDirector App. At least 5Hz sample rate, enabled SBAS function, useful placement of the logger (e.g. direct view to the sky). Concerning the accuracy of GNSS, technologies such as e.g. Multi-GNSS are of advantage. You can find further discussions about "GNSS accuracy" in the forum. All data loggers listed above offer the possibility to export the data as CSV (some as GPX or NMEA) through their supplied software (for example Race Studio, QRacing, ...). We have made the best experience with CSV and NMEA data. Instructions for export and upload can be found here. If you use a logger that is not listed above and meets the minimum requirements, you can send us your file. We check it and if everything fits, we add the data logger to our list. Send us your file E-Mail. GNSS data (e.g. GPS) recorded with a smartphone or tablet are not suitable for RaceDirector! The GNSS chips used by smartphones and tablets record position data (e.g. GPS) at 1Hz. This sampling rate is too low for objects moving faster than 30 km/h and does not produce an appealing result when displayed in RaceDirector. Get your version for PC (Windows or Mac) or with WebGL directly from the browser. To see how RaceDirector works, just try the demo. 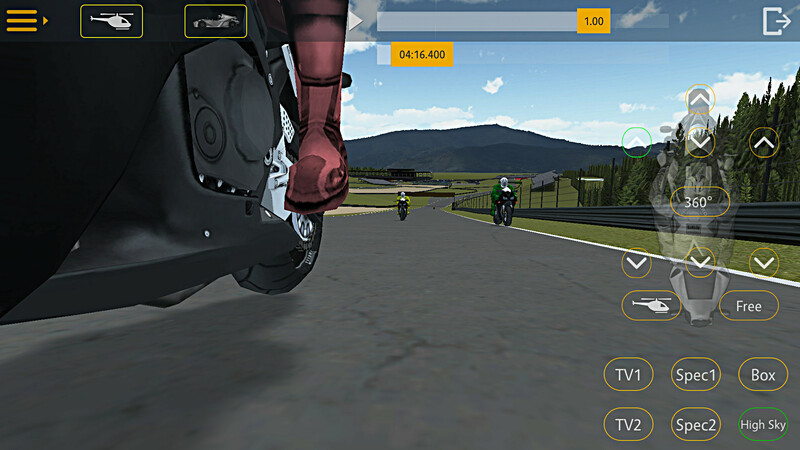 Install the RaceDirector app or try it directly via your PC/Laptop browser with WebGL. After registering and logging in, you can upload the positioning data from your logger (such as QStarz LT-Q6000). No. To see and use the full functionality, all you need is the free Beta Launch Pass. How do I get my Beta Launch Pass? Please register and log in to RaceDirector. Under the menu item "Shop" you can then get the Beta Launch Pass. The pass is free and valid for one year. Where does the position data come from? The position data (GNSS – e.g. GPS) come from your data logger. RaceDirector currently does not offer an own hardware (data logger). The motorsport data loggers use GNSS chips from three different manufacturers, with quality (accuracy) steadily improving. For example, SBAS (Satellite Based Augmented System -> additional geostationary satellite for error correction) or multi-GNSS (use of multiple satellite systems simultaneously) is increasingly used. My data logger is not listed. What can I do? How do I get to the CSV, GPX or NMEA data? Each data logger or dashboard is offered with evaluation or analysis software. Each software offers by default an export function, where the user has the choice of different formats. RaceDirector understands CSV, GPX and NMEA. We recommend CSV or NMEA from the devices we have listed in our list. GPX should be a standard, but we have seen that some applications in GPX export reduce the record to 1Hz - which is not useful for RaceDirector. I drove together with my friends on the track. Can I put these rides as a virtual race together? Yes! That's one of the big advantages of the digital twin (RaceDirector). 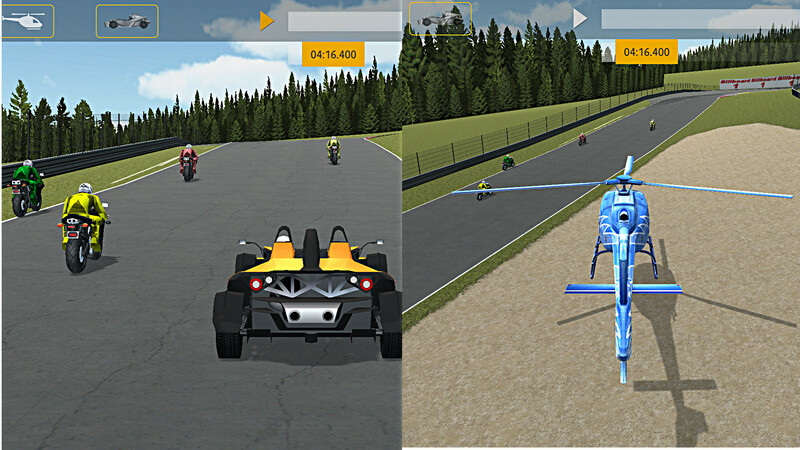 In the current version you can combine up to 4 more rides and display them as a virtual race. For races with more than 5 vehicles / rides we offer an own RaceDirector version. This version is dedicated to racing series organizers. With RaceDirector whole races can be replayed and transmitted. Yes! Both, your recorded data and the racetrack you choose are stored on a server and have to be downloaded. The amount of data is manageable (about 50MB per racetrack). So once the data is on your device, you are independent of the Internet. In the presentation, the picture jerky. What can I do about it? Despite the fact that this is not a high-end graphics, performance problems can occur with devices with a low-performance graphics card (such as laptops). Please try the option "Low" in the settings. Can races also be broadcast live? From a technological point of view, this is no longer a problem today (keyword IoT ... Internet of Things). For Track Day drivers, there is currently no affordable solution. In organized races, however, a market slowly developing, which is affordable for small organizers. For example, there is a solution of MyLaps (x2 Link) in combination with MyChrone (AIM), where the positions are transmitted to a server in real time. If that's the case, then a RaceDirector integration is a child’s play. Very important to understand! RaceDirector is not a game! But we have two game variants installed in RaceDirector. You can compete against the rides of Track Day riders with a self-driving vehicle or drone. RaceDirector is a TwinVision product. TwinVision is a Vienna based company and consists of a project team of different nations. Where can I find my race track? There are currently around 40 racetracks available - with the focus on kart racing tracks in Germany and Austria. The racetracks are provided by the community and are constantly being expanded. These are people who draw these tracks in their spare time and then share them with you. In the forum you will find discussions and wish lists. Sometimes we are surprised how fast a track is realized. The more popular a track, the higher the chance that it will be available in RaceDirector. There are currently 25 kart racing tracks from Germany, Austria and the USA. In addition, there are 15 international racetracks from Germany, Austria and England. Can I design racetracks myself? Yes, that is possible! TwinVision does not designe racetracks itself. We build on the community and have developed RaceDirector so that modders / designers can draw tracks and then use them in RaceDirector. 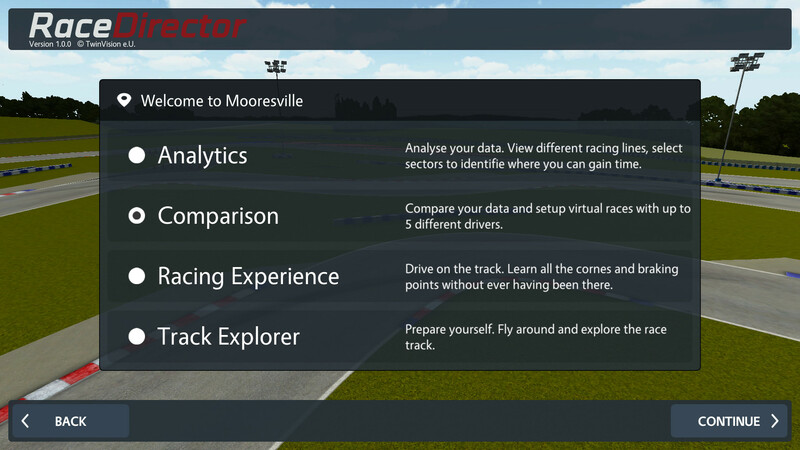 If you are interested in providing tracks for RaceDirector, please contact us at modding@racedirector.at. You will then receive instructions or design guidelines so that your track works in RaceDirector. Which vehicles are available in RaceDirector? That's a difficult topic! To make everything right, we would need to integrate all worldwide available vehicles into RaceDirector. That would be nice, but it is unrealistic. Making a compromise means that a few users are satisfied, but others are disappointed because their vehicle is not there. To avoid this discussion, we have one kart, one motorbike and one car. Can I use a self-drawn vehicle? Currently this is not possible. But as well as with the racetracks we want to offer a possibility for the future that users can use vehicles of modders. Which data logger can I use? See requirements for your data logger. Either data loggers dedicated to motorsport (such as AIM MyChrone 5 or UniPro XYZ or ...). But also action cams (for example GoPro Hero 5), which record the position data with a sampling rate> = 5Hz. Does LapTimer apps works with RaceDirector? If the GNSS data (for example GPS) is recorded by the smartphone, these apps are not suitable for RaceDirector. However, if you use an external data logger that meets the minimum requirements, these apps can be used. After all, the data will be recorded by the external logger. We have made very good experiences with Harry's LapTimer app. Can I use my action cam? Yes, if it's a GoPro Hero 5 or 6. Yes, if it is a Garmin VIRB Ultra 30. These manufacturers use GNSS chipsets that have correspondingly high sampling rates (> = 5Hz) or use multi-GNSS. We tested GoPro Hero 5 and we are happy that Action Cams are suitable for RaceDirector. How can I export the GPS data from my GoPro Hero 5 or 6? Instructions can be found here in the forum. Can I use my GoPro Hero 4? No, the GoPro Hero 4 does not have an appropriate GPS module. How can I read the GPS data from my Garmin VIRB Ultra 30? Does the app also working with Android TV? Yes! Tested with NVIDIA shield. Only to control you need a controller or mouse (for example Microsoft Sculpt Comfort). Do I have to register with RaceDirector? If you only use the demo, no registration is necessary. But if you want to upload your data, you need to register. Do I have to upload my data? 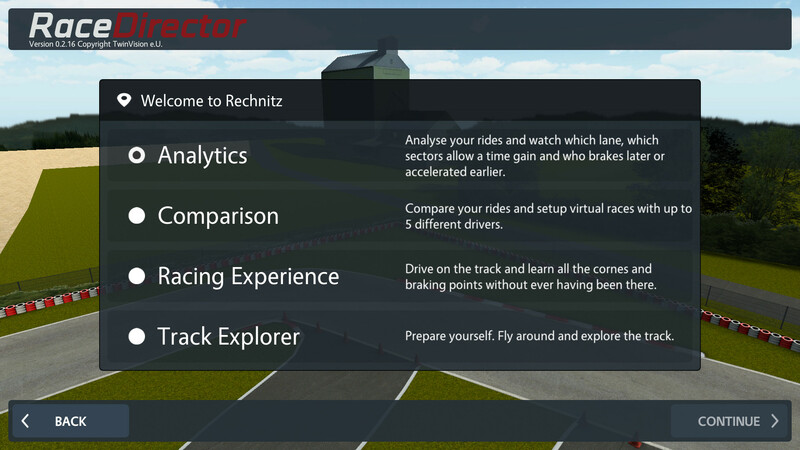 RaceDirector is designed to display the recorded data of a track day as a digital twin. We want track day drivers to be able to take advantage of the new opportunities and have fun with them. If you do not have your own data, RaceDirector can also be used as a game. You can then compete against real drivers or try to fly faster with a drone than the track day drivers. Using RaceDirector you create content. You select the perspectives or the driver and look at the race from your point of view. We believe that there are many users who want to show their content, and conversely, there are many who are curious to see how the users are directing. We work to ensure that as many events as possible generate content with Digital Twin technology. 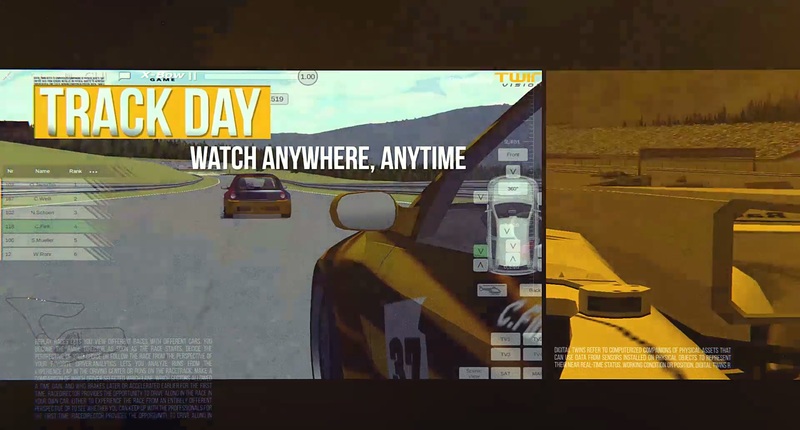 Twitch is an ideal platform to distribute user generated RaceDirector content. Can other sensor data be integrated into RaceDirector? 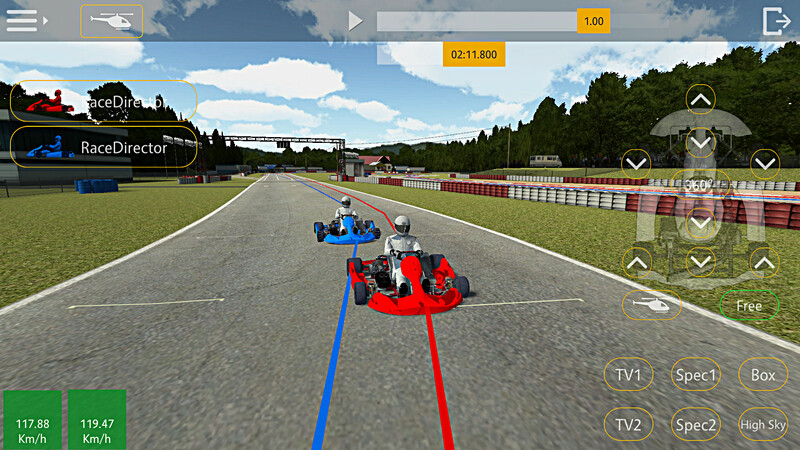 Is there an interface for Kart Racing Pro or World Racing Series? Yes, that works. PiBoSo records the data in 10Hz and makes the file available as a TXT file. This file can be integrated into RaceDirector. Thus, nothing stands in the way of a comparison between the real and the simulated world. Will there be an interface for rFactor / Studio 397? We want to offer a corresponding, customized rFactor plugin soon. With this plugin, the rFactor rides can be integrated into RaceDirector. If we use VR, then à la Google Daydream. The smartphone serves as a display. This topic is on our ToDo list.